We’re offering you an online Child Care course for just £19.00, saving you over 92% off the original price of £249.99. If you are looking for a career caring for children and want to learn how to get your foot in the door in the child care industry, order today’s deal for just £19. The Child Care course will cover a comprehensive range of 7 modules, you’ll have 24/7 online access to the study materials, introductory videos, assessment tests, study resources and tutor support for up to 12 months. Whether you are looking to brighten up your CV, just starting out in the industry, looking for a career change of just fancy learning something new, this online Child Care course is perfect! Getting started on the Child Care course has never been so easy, just click the Buy Now button above to enrol on the course and receive instant access to your studies. The Level 3 Award Child Care course has been independently accredited and certified by The CPD Certification Service. To enrol on the Child Care course there is no experience or previous qualifications required. The course is available to all students, of all academic backgrounds. Throughout the Child Care course, students will undergo numerous online assessments to measure how effectively the knowledge is being absorbed. At the end of each module within the Child Care course, student will take an interactive assessment to assess the knowledge that they have just learnt. This provides a great tracking tool and is useful for reflective learning. 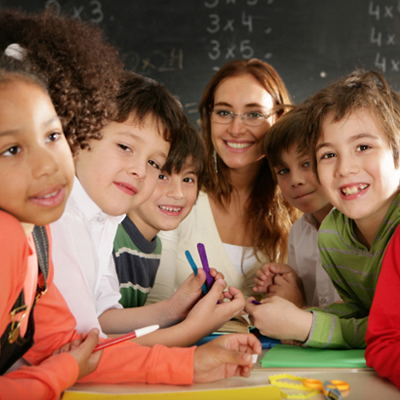 As part of the Child Care course you will receive access to our dedicated tutor support service. The academic tutors will be able to provide you with unlimited online email support to help answer any questions that you may have whilst you are studying the course. Our team want you to achieve the best grade possible for your course. This course is delivered online through eLearning. Learners of the course will receive instant access to our interactive learning portal, which offers 24/7 access to the Child Care course, including all course materials, online assessment tests, study guides, student profiles, academic procedures, student support and much more. The online Child Care course requires 60 hours to complete the course in full. This is only a guide to the learning hours required and it depends on how quickly an individual can absorb the information. The learning is online so it can be spread out over multiple sessions or done in one session. You will be glad to know that you can buy this Child Care course with 100% confidence, because it’s covered by our 14 Day Peace of Mind Guarantee. The Child Care course can be studied online across multiple devices and platforms as the course is fully compatible with Desktop PC’s, Mac’s. Laptops, Tablets, Smartphones and Smart TV devices. Our Child Care course has been designed so it is fully compatible with the latest technology, meaning you can study your online course across many popular devices. We know that an increasing number of people are using the web on the move, so this course is fully functional across tablets and smartphone devices. You will receive the same great course content, just over a 3G, 4G or 5G connection. If you are ready to get started on this online Child Care course, simply click the ‘Buy Now’ button where you follow the steps to complete the order. You will need to enter your enrolments details and complete the payment. Once this is done you will receive instant access to your course(s) and you can start learning straight away. So easy to use and loads of time to finish it. Would recommend this course and I am thinking of doing more courses. I took two courses this child care one and the nursery nurse one also. Very much appreciate doing these courses and I am progressing through them perfectly. I like that I can progress in my own time and via a computer. I have also gone on my phone a couple times and started studying from my phone which is great. I’m very impressed so far and very good prices for these courses.